Los microRNAs (miRNAs) tienen especial interés en oncología, se ha demostrado el papel de miRNAs en el control de la expresión de genes reguladores del ciclo celular, alteración génica y su implicación en diferentes tipos de cáncer. En este estudio, se realizó una búsqueda sistemática de literatura científica en bases de datos, que establecieran asociación de miRNAs con Cáncer de Cuello Uterino-CCU. Se analizó la localización genómica y cromosómica de miRNAs, la clasificación funcional, grupos de miRNAs al que pertenecen y su implicación en la progresión del CCU. Como resultado, se incluyeron 139 artículos científicos sobre miRNAs en CCU. Se identificaron 272 miRNAs en total y de ellos 252 miRNAs con expresión diferencial en tejidos cancerosos de cuello uterino; de estos, 97 miRNAs están sobre-expresados y 88 miRNAs infra-expresados. 67 miRNAs tuvieron perfiles de expresión variables. La mayoría de miRNAs asociados al CCU se encontraron en los cromosomas 1, 14, 19 y X, así como en regiones intrónicas e intergénicas. El cromosoma 18 humano contiene el menor número de miRNAs. Se identificaron miRNAs en procesos asociados al control del ciclo celular y respuesta inflamatoria. No obstante, se requieren más estudios para esclarecer los mecanismos de los miRNAs en desarrollo del CCU. Con esta revisión se destaca la importancia de miRNAs como biomarcadores pronóstico y diagnóstico, se brinda una actualización sobre miRNAs asociados al CCU y sus lesiones precursoras y se genera un recurso de recopilación y consulta valioso para orientar investigaciones de medicina molecular en este campo. Ferlay J, Soerjomataram I, Dikshit R, Eser S, Mathers C, Rebelo M, et al. Cancer incidence and mortality worldwide: Sources, methods and major patterns in GLOBOCAN 2012. 2015; 386. Torre L, Bray F, Siegel RL, Ferlay J, Lortet-tieulent J, Jemal A. Global Cancer Statistics, 2012. 2015; 00(00): 1-22. Sankaranarayanan R, Thara S, Esmy PO, Basu P. Cervical Cancer: Screening and therapeutic perspectives. Medical Principles and Practice. 2008; 17(5): 351-64. Ferlay J, Shin HR, Bray F, Forman D, Mathers C, Parkin DM. Estimates of worldwide burden of cancer in 2008: GLOBOCAN 2008. International Journal of Cancer. 2010; 127(12): 2893-917. Bosch FX, Lorincz A, Muñoz N, Meijer C, Shah KV. The causal relation between human papillomavirus and cervical cancer. Journal of clinical pathology. 2002; 55(4): 244-65. Muñoz N, Bosch FX, de Sanjosé S, Herrero R, Castellsagué X, Shah KV., et al. Epidemiologic Classification of Human Papillomavirus Types Associated with Cervical Cancer. New England Journal of Medicine. 2003; 348(6): 518-27. Muñoz N, Bosch FX, de Sanjosé S, Tafur L, Izarzugaza I, Gili M., et al. The causal link between human papillomavirus and invasive cervical cancer: a population-based case-control study in Colombia and Spain. International journal of cancer. 1992; 52(5): 743-9. Franco EL, Duarte-Franco E, Ferenczy A. Cervical Cancer: epidemiology, prevention and the role of Human Papillomavirus infection. CMAJ : Canadian Medical Association journal. 2001; 164(7): 1017-25. Cañadas M, Darwich L, Sirera G, Cirigliano V, Bofill M, Clotet B, et al. New molecular method for the detection of human papillomavirus type 16 integration. Clinical Microbiology and Infection. 2010; 16(7): 836-42.
de Villiers E. Cross-roads in the classification of papillomaviruses. Virology. 2013; 445(1-2): 2-10. Siegel RL, Miller KD, Jemal A. Cancer Statistics, 2015. CA Cancer J Clin. 2015; 65(1): 5-29. Phuah NH, In LL, Azmi MN, Ibrahim H, Awang K, Nagoor NH. Alterations of MicroRNA Expression Patterns in Human Cervical Carcinoma Cells (Ca Ski) toward 1’S-1'-Acetoxychavicol Acetate and Cisplatin. Reproductive Sciences. 2012; 20(5): 567-78. Bartel DP. MicroRNAs: Genomics, Biogenesis, Mechanism, and Function. Cell. 2004; 116(2): 281-97. Bartel DP. MicroRNA Target Recognition and Regulatory Functions. Cell. 2009; 136(2): 215-33. Van Peer G, Lefever S, Anckaert J, Beckers A, Rihani A, Van Goethem A., et al. Original article miRBase Tracker : keeping track of microRNA annotation changes. 2014; 1-8. Kozomara A, Griffiths-Jones S. MiRBase: Annotating high confidence microRNAs using deep sequencing data. Nucleic Acids Research. 2014; 42(D1): 68-73. Ambros V, Bartel B, Bartel DP, Burge CB, Carrington JC, Chen X., et al. A uniform system for microRNA annotation. RNA (New York, NY). 2003; 9(3): 277-9. Calin G, Croce C. MicroRNA signatures in human cancers. Nature reviews Cancer. 2006; 6(11): 857-66. Montufar M. Analisis de MiRNAs y sus genes blanco en lineas celulares del cancer de cervix. Universidad Autonoma de Nuevo Leon; 2013. Ding H, Huang Z, Chen M, Wang C, Chen X, Chen J., et al. Identification of a panel of five serum miRNAs as a biomarker for Parkinson’s disease. Parkinsonism and Related Disorders. 2016;22:68-73. Rodriguez A, Griffiths-Jones S, Ashurst JL, Bradley A. Identification of mammalian microRNA host genes and transcription units. Genome Research. 2004; 14(10 A): 1902-10. Calin G, Sevignani C, Dumitru C, Hyslop T, Noch E, Yendamuri S., et al. Human microRNA genes are frequently located at fragile sites and genomic regions involved in cancers. Proceedings of the National Academy of Sciences of the United States of America. 2004; 101(9): 2999-3004. Wilting SM, Snijders PJF, Verlaat W, Jaspers A, van de Wiel M a, van Wieringen WN., et al. Altered microRNA expression associated with chromosomal changes contributes to cervical carcinogenesis. Oncogene. 2013; 32: 106-16. Yamamoto N, Kinoshita T, Nohata N, Yoshino H, Itesako T, Fujimura L., et al. Tumor-suppressive microRNA-29a inhibits cancer cell migration and invasion via targeting HSP47 in cervical squamous cell carcinoma. International Journal of Oncology. 2013; 43(6): 1855-63. Ribeiro J, Sousa H. MicroRNAs as biomarkers of cervical cancer development: A literature review on miR-125b and miR-34a. Molecular Biology Reports. 2014; 41(3): 1525-31. 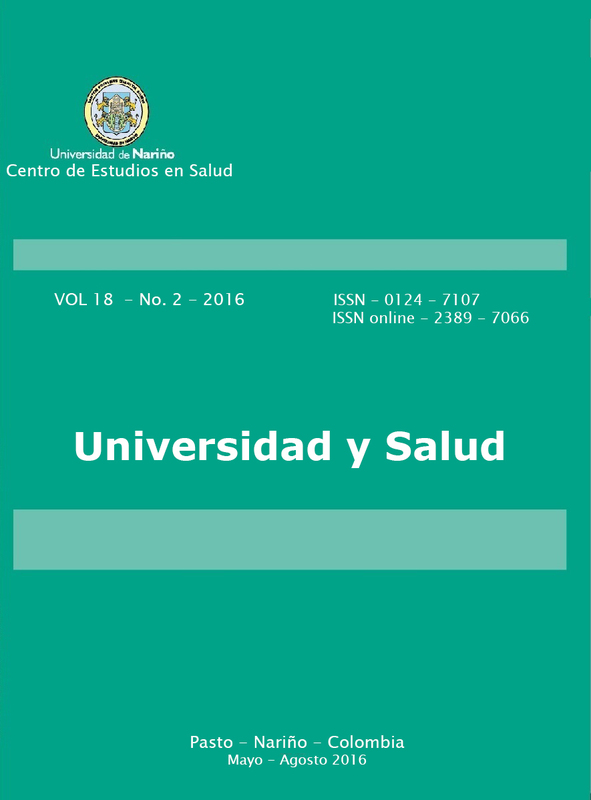 Cioffi M, Trabulo SM, Sanchez-Ripoll Y, Miranda-Lorenzo I, Lonardo E, Dorado J., et al. The miR-17-92 cluster counteracts quiescence and chemoresistance in a distinct subpopulation of pancreatic cancer stem cells. Gut. 2015; gutjnl - 2014-308470. Concepcion C, Bonetti C, Ventura A. The miR-17-92 family of microRNA clusters in development and disease. Cancer journal. 2012; 18(3): 262-7. Hayashita Y, Osada H, Tatematsu Y, Yamada H, Yanagisawa K, Tomida S., et al. A polycistronic MicroRNA cluster, miR-17-92, is overexpressed in human lung cancers and enhances cell proliferation. Cancer Research. 2005; 65(21): 9628-32. Li Y, Vecchiarelli-Federico LM, Li YJ, Egan SE, Spaner D, Hough MR., et al. The miR-17-92 cluster expands multipotent hematopoietic progenitors whereas imbalanced expression of its individual oncogenic miRNAs promotes leukemia in mice. Blood. 2012; 119(19): 4486-98. Lu Y, Thomson JM, Wong HYF, Hammond SM, Hogan BLM. Transgenic over-expression of the microRNA miR-17-92 cluster promotes proliferation and inhibits differentiation of lung epithelial progenitor cells. Developmental Biology. 2007; 310(2): 442-53. Mestdagh P, Bostr? ?m AK, Impens F, Fredlund E, Van Peer G, De Antonellis P., et al. The miR-17-92 MicroRNA Cluster Regulates Multiple Components of the TGF-?? Pathway in Neuroblastoma. Molecular Cell. 2010; 40(5): 762-73. Van Haaften G, Agami R. Tumorigenicity of the miR-17-92 cluster distilled. Genes and Development. 2010; 24(1): 1-4. Yu Y, Zhang Y, Zhang S. MicroRNA-92 regulates cervical tumorigenesis and its expression is upregulated by human papillomavirus-16 E6 in cervical cancer cells. Oncology Letters. 2013; 6(2): 468-74. Lui W-O, Pourmand N, Patterson BK, Fire A. Patterns of known and novel small RNAs in human cervical cancer. Cancer research. 2007; 67(13): 6031-43. Lee JW, Choi CH, Choi JJ, Park YA, Kim SJ, Hwang SY., et al. Altered MicroRNA expression in cervical carcinomas. Clinical Cancer Research. 2008;14(9):2535-42. Martinez I, Gardiner S, Board KF, Monzon F, Edwards RP, Khan S. Human papillomavirus type 16 reduces the expression of microRNA-218 in cervical carcinoma cells. Oncogene. 2008; 27(18): 2575-82. Wang X, Tang S, Le SY, Lu R, Rader JS, Meyers C., et al. Aberrant expression of oncogenic and tumor-suppressive microRNAs in cervical cancer is required for cancer cell growth. PLoS ONE. 2008; 3(7): e2557. Wang L, Wang Q, Li HL, Han LY. Expression of MiR200a, miR93, metastasis-related gene RECK and MMP2/MMP9 in human cervical carcinoma-relationship with prognosis. Asian Pacific Journal of Cancer Prevention. 2013; 14(3): 2113-8. Hu X, Schwarz JK, Lewis JS, Huettner PC, Rader JS, Deasy JO., et al. A microRNA expression signature for cervical cancer prognosis. Cancer Research. 2010; 70(4): 1441-8. Rao Q, Zhou H, Peng Y, Li J, Lin Z. Aberrant microRNA expression in human cervical carcinomas. Medical Oncology. 2012; 29(2): 1242-8. Hao Z, Yang J, Wang C, Li Y, Zhang Y, Dong X., et al. MicroRNA-7 inhibits metastasis and invasion through targeting focal adhesion kinase in cervical cancer. Int J Clin Exp Med. 2015; 8(1): 480-7. Cheung TH, Man KN, Yu MY, Yim SF, Siu NS, Lo KW., et al. Dysregulated microRNAs in the pathogenesis and progression of cervical neoplasm. Cell Cycle. 2012; 11(15): 2876-84. Liu W, Gao G, Hu X, Wang Y, Schwarz JK. Activation of miR-9 by human papillomavirus in cervical cancer. OncoTarget. 2014; 5(22). Pereira PM, Marques JP, Soares AR, Carreto L, Santos M. Microrna expression variability in human cervical tissues. PLoS ONE. 2010; 5(7): e11780. Long M-J, Wu F-X, Li P, Liu M, Li X, Tang H. MicroRNA-10a targets CHL1 and promotes cell growth, migration and invasion in human cervical cancer cells. Cancer Letters. 2012; 324(2): 186-96. Park H, Lee M, Jeong J, Choi MC, Jung SG, Joo WD., et al. Villegas V, Juárez S, Pérez O a., Arreola H, Paniagua L, Parra-Melquiadez M., et al. Heterogeneity of microRNAs expression in cervical cancer cells: Over-expression of miR-196a. International Journal of Clinical and Experimental Pathology. 2014; 7(4): 1389-401. Zhao S, Yao DS, Chen JY, Ding N. Aberrant Expression of miR-20a and miR-203 in Cervical Cancer. Asian Pacific Journal of Cancer Prevention. 2013; 14(4): 2289-93. Deftereos G, Corrie SR, Feng Q, Morihara J, Stern J, Hawes SE., et al. Expression of MIR-21 and Mir-143 in cervical specimens ranging from histologically normal through to invasive cervical cancer. PLoS ONE. 2011; 6(12). Liu J, Sun H, Wang X, Yu Q, Li S, Yu X., et al. Increased exosomal microRNA-21 and microRNA-146a levels in the cervicovaginal lavage specimens of patients with cervical cancer. International Journal of Molecular Sciences. 2014; 15(1): 758-73. Luo M, Shen D, Wang W, Xian J. Aberrant expression of microRNA-26b and its prognostic potential in human cervical cancer. Int J Clin Exp Pathol. 2015; 8(5): 5542-8. Gocze K, Gombos K, Juhasz K, Kovacs K, Kajtar B, Benczik M., et al. Unique microRNA expression profiles in Cervical Cancer. Anticancer Research. 2013; 33(6): 2561-8. Li Y, Wang F, Xu J, Ye F, Shen Y, Zhou J., et al. Progressive miRNA expression profiles in cervical carcinogenesis and identification of HPV-related target genes for miR-29. Journal of Pathology. 2011; 224(4): 484-95. Wang X, Wang H-K, McCoy JP, Banerjee NS, Rader JS, Broker TR., et al. Oncogenic HPV infection interrupts the expression of tumor-suppressive miR-34a through viral oncoprotein E6. RNA (New York, NY). 2009; 15(4): 637-47. Cui F, Li X, Zhu X, Huang L, Huang Y, Mao C., et al. MiR-125b inhibits tumor growth and promotes apoptosis of cervical cancer cells by targeting phosphoinositide 3-kinase catalytic subunit delta. Cellular Physiology and Biochemistry. 2012; 30(5): 1310-8. Yu Q, Liu SL, Wang H, Shi G, Yang P, Chen XL. miR-126 suppresses the proliferation of cervical cancer cells and alters cell sensitivity to the chemotherapeutic drug bleomycin. Asian Pacific Journal of Cancer Prevention. 2013; 14(11): 6569-72. Qin W, Dong P, Ma C, Mitchelson K, Deng T, Zhang L., et al. MicroRNA-133b is a key promoter of cervical carcinoma development through the activation of the ERK and AKT1 pathways. Oncogene. 2012; 31(36): 4067-75. Liu L, Yu X, Guo X, Tian Z, Su M, Long Y., et al. MiR-143 is downregulated in cervical cancer and promotes apoptosis and inhibits tumor formation by targeting Bcl-2. Molecular Medicine Reports. 2012; 5(3): 753-60. Zhang J, Wang L, Li B, Huo M, Mu M, Liu J., et al. miR-145 downregulates the expression of cyclin-dependent kinase 6 in human cervical carcinoma cells. Experimental and Therapeutic Medicine. 2014; 8(2): 591-4. Liang S, Tian T, Liu X, Shi H, Tang C, Yang S., et al. Microarray analysis revealed markedly differential miRNA expressionprofiles in cervical intraepithelial neoplasias and invasive squamous cellcarcinoma. Future Oncology. 2014. Wilting S, Verlaat W, Jaspers A, Makazaji N, Agami R, Meijer CJ., et al. Methylation-mediated transcriptional repression of microRNAs during cervical carcinogenesis. Epigenetics. 2013; 8(2): 220-8. Lei C, Wang Y, Huang Y, Yu H, Huang Y, Wu L., et al. Up-regulated miR155 Reverses the Epithelial-mesenchymal Transition Induced by EGF and Increases Chemo-sensitivity to Cisplatin in Human Caski Cervical Cancer Cells. PLoS ONE. 2012; 7(12): 1-9. Ke G, Liang L, Yang JM, Huang X, Han D, Huang S., et al. MiR-181a confers resistance of cervical cancer to radiation therapy through targeting the pro-apoptotic PRKCD gene. Oncogene. 2012; (November 2011): 1-9. Sun J, Ji J, Huo G, Song Q, Zhang X. miR-182 induces cervical cancer cell apoptosis through inhibiting the expression of DNMT3a. 2015; 8(5): 4755-63. Lee H, Kim KR, Cho NH, Hong SR, Jeong H, Kwon SY., et al. MicroRNA expression profiling and Notch1 and Notch2 expression in minimal deviation adenocarcinoma of uterine cervix. 2014; 1-9. How C, Hui ABY, Alajez NM, Shi W, Boutros PC, Clarke B., et al. MicroRNA-196b Regulates the Homeobox B7-Vascular Endothelial Growth Factor Axis in Cervical Cancer. PLoS ONE. 2013; 8(7). Liu C, Lin J, Li L, Zhang Y, Chen W, Cao Z., et al. HPV16 early gene E5 specifically reduces miRNA-196a in cervical cancer cells. Scientific Reports. 2015; 5(7653): 21-5. Xie H, Zhao Y, Caramuta S, Larsson C, Lui WO. miR-205 Expression Promotes Cell Proliferation and Migration of Human Cervical Cancer Cells. PLoS ONE. 2012; 7(10). Yang Z, Chen S, Luan X, Li Y, Liu M, Li X., et al. MicroRNA-214 is aberrantly expressed in cervical cancers and inhibits the growth of hela cells. IUBMB Life. 2009; 61(11): 1075-82. Peng R-Q, Wan H-Y, Li H-F, Liu M, Li X, Tang H. MicroRNA-214 Suppresses Growth and Invasiveness of Cervical Cancer Cells by Targeting UDP-N-acetyl-D-galactosamine:Polypeptide N-Acetylgalactosaminyltransferase 7. Journal of Biological Chemistry. 2012; 287(17): 14301-9. Yamamoto N, Kinoshita T, Nohata N, Itesako T, Yoshino H, Enokida H., et al. Tumor suppressive microRNA-218 inhibits cancer cell migration and invasion by targeting focal adhesion pathways in cervical squamous cell carcinoma. International Journal of Oncology. 2013; 42(5): 1523-32. Kogo R, How C, Chaudary N, Bruce J, Shi W, Hill P., et al. The microRNA-218 ~ Survivin axis regulates migration, invasion, and lymph node metastasis in cervical cancer. OncoTarget. 2014; 6(2). Wang F, Li Y, Zhou J, Xu J, Peng C, Ye F., et al. MiR-375 is down-regulated in squamous cervical cancer and inhibits cell migration and invasion via targeting transcription factor SP1. American Journal of Pathology. 2011; 179(5): 2580-8. Shen Y, Zhou J, Li Y, Ye F, Wan X, Lu W., et al. miR-375 Mediated Acquired Chemo-Resistance in Cervical Cancer by Facilitating EMT. 2014; 9(10). Xu J, Li Y, Wang F, Wang X, Cheng B, Ye F., et al. Suppressed miR-424 expression via upregulation of target gene Chk1 contributes to the progression of cervical cancer. Oncogene. 2013; 32: 976-87. Chen J, Yao D, Zhao S, He C, Ding N, Li L., et al. MiR-1246 promotes SiHa cervical cancer cell proliferation, invasion, and migration through suppression of its target gene thrombospondin 2. Archives of Gynecology and Obstetrics. 2014. Yao T, Rao Q, Liu L, Zheng C, Xie Q, Liang J., et al. Exploration of tumor suppressive microRNAs silenced by DNA hypermethylation in cervical cancer. Virology journal. 2013; 2094-105. Shishodia G, Verma G, Srivastava Y, Mehrotra R, Das BC, Bharti AC. Deregulation of microRNAs Let-7a and miR-21 mediate aberrant STAT3 signaling during human papillomavirus-induced cervical carcinogenesis: role of E6 oncoprotein. BMC cancer,. 2014; 14(1): 1-13. Huang L, Lin J-X, Yu Y-H, Zhang M-Y, Wang H-Y, Zheng M. Downregulation of Six MicroRNAs Is Associated with Advanced Stage, Lymph Node Metastasis and Poor Prognosis in Small Cell Carcinoma of the Cervix. PLoS ONE. 2012; 7(3): e33762. He Y, Lin J, Ding Y, Liu G, Luo Y, Huang M., et al. A systematic study on dysregulated microRNAs in cervical cancer development. International journal of cancer. 2015; 1-32. Ogechukwu OJ. Discordant Reports of miRNA Expression in Cervical Cancer: An Upshot of Overlapping Factors. Research in Cancer and Tumor. 2015; 4(1): 15-23. Calin G, Croce CM. Chromosomal rearrangements and microRNAs: A new cancer link with clinical implications. Journal of Clinical Investigation. 2007; 117(8): 2059-66. López C, Marchat L a, Aréchaga E, Azuara E, Pérez C, Fuentes L., et al. Functional Roles of microRNAs in Cancer: microRNomes and oncomiRs Connection. Oncogenomic and Cancer Proteomics - Novel Approaches in Biomarkers Discovery and Therapeutic Targets in Cancer and Cancer Proteomics [Internet]. 2013; 71-90. Recuperado a partir de: http://dx.doi.org/10.5772/53981n1. Banno K, Iida M, Yanokura M, Kisu I, Iwata T, Tominaga E., et al. MicroRNA in Cervical Cancer: OncomiRs and tumor suppressor miRs in diagnosis and treatment. The Scientific World Journal. 2014; 2014: 8. Pedroza A, López E, García V, Jacobo N, Herrera L a., Peralta O, et al. MicroRNAs in Cervical Cancer: Evidences for a miRNA profile deregulated by HPV and its impact on radio-resistance. Molecules. 2014; 19(5): 6263-81. Tian RQ, Wang XH, Hou LJ, Jia WH, Yang Q, Li YX., et al. MicroRNA-372 is down-regulated and targets cyclin-dependent kinase 2 (CDK2) and cyclin A1 in human cervical cancer, which may contribute to tumorigenesis. Journal of Biological Chemistry. 2011; 286(29): 25556-63. Cai X, Li G, Laimins L, Cullen BR. Human papillomavirus genotype 31 does not express detectable microRNA levels during latent or productive virus replication. Journal of virology. 2006; 80(21): 10890-3. Wald AI. Role of MicroRNas-363-in HPV associated squamous cell carcinoma of the head and neck. University of Pittsburgh, Pensilvania, Estados Unidos; 2012.